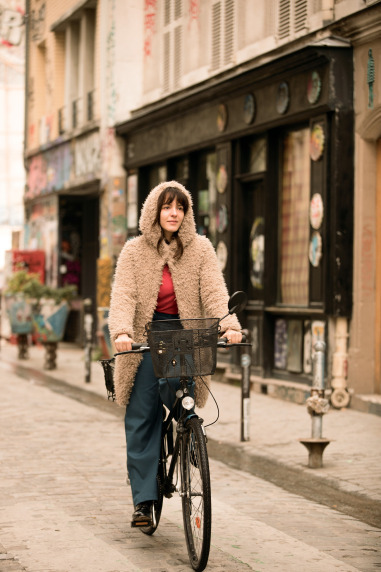 The 22nd Annual Chicago European Union Film Festival will run through April 4 at the Gene Siskel Film Center (GSFC), screening 22 films from female directors. CEUFF screened 60 premieres from 28 European Union nations throughout the month of March, making it the largest showcase of EU cinema in North America. This annual event holds a special place on our festival calendar because it’s where we mutually discovered one of our favorite films of the decade: Lone Scherfig’s 2017 war drama Their Finest. We look forward to CEUFF every year because of the anticipation of finding lesser-seen gems from female filmmakers. 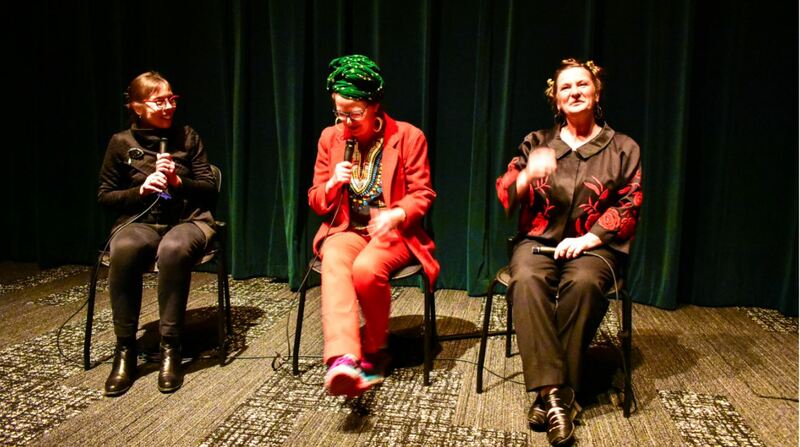 Though we screened several of the 22 films from women directors, the two movies we celebrated on the weekend of 12th International SWAN Day were by far the most impactful of the festival. From writer-director Nicole Palo, Emma Peeters is an incredibly offbeat dark comedy about a fledgling actress contemplating suicide. The titular Emma (Monia Chokri) schedules the event for her 35th birthday, crossing items off her “things to do before dying” list. She says goodbye to her parents, donates her belongings and eventually arranges her own future funeral, meeting quirky funeral director Alex (Fabrice Adde). He quickly learns of her plans to kill herself and becomes determined to make her last days memorable. Comedy and suicide don’t necessarily mix, despite the best efforts of Emma Peeters to keep things light. Nicole Palo wrote an undeniably compelling script, designed to make viewers uncomfortable and ask “Should I be laughing?” Our answer throughout the screening was “no” more often than not, but that’s not the only reason this confoundedly funny film is problematic. It begs the question of what makes life worth living, and what kind of message it sends the audience: are male attention and fun weekend plans the answer to our personal problems? And is it insensitive to depict suicidal thoughts as a character quirk versus a much more serious mental health issue? Emma Peeters raises these questions in an undoubtedly entertaining and memorable manner, but it’s equally unsettling - which perhaps was Palo’s intention. Our CEUFF experience coincided with 12th International SWAN Day on March 30. A Q&A with writer-director Carmel Winters followed a screening of her gritty Irish boxing film Float Like A Butterfly. Winters sheds light on a lesser-known aspect of Irish history by depicting its traveling community, whom she compares to Eastern European gypsies. Main character Frances (Hazel Doupe) dreams of boxing, despite her family’s nomadic lifestyle and her father’s alcohol abuse. She hopes to emulate “The Greatest,” Muhammad Ali, and overcomes her family’s limited view of what her gender can accomplish by fighting for them - literally and metaphorically. The Siskel center honored the Irish community with a post-screening celebration and special guest Jamillah Ali, daughter of The Greatest. Winters spoke of her respect for Ali, the women of Ireland’s traveling community and women filmmakers in particular. She acknowledges that parity for female filmmakers still has a long way to go, but respects women’s inherit ability to create life and stories. Top Photo: Monia Chokri stars in the problematic but memorable Emma Peeters. 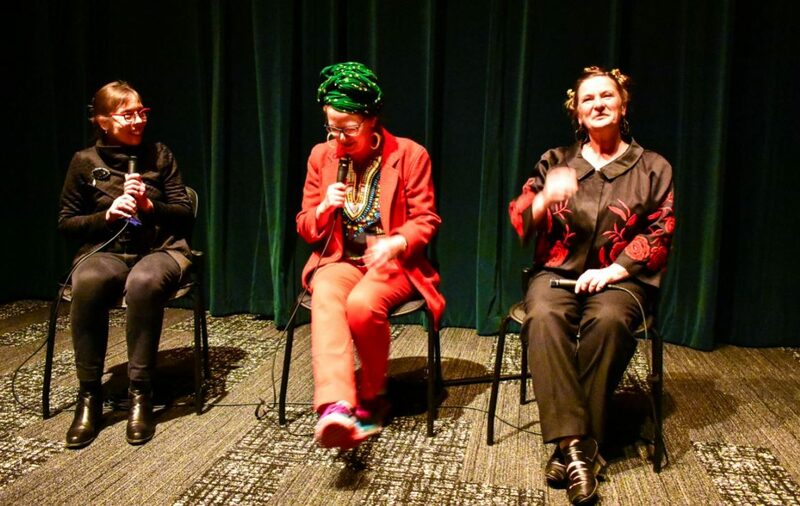 Featured Photo: GSFC Director of Programming Barbara Scharres, writer-director Carmel Winters and Float Like A Butterfly production designer Toma McCullim answer questions following the film screening.